With any pest wild animal there is always going to be a concern about diseases. All animals come with their fair share of threats too, from the sweet squirrel to the rogue raccoon. What is worrying about bats is that they don't even need to be present for the disease risks to become very real, as is shown by a condition called histoplasmosis. The thing that makes histoplasmosis so dangerous is that it can be sent airborne. Predominantly found in the droppings of bats (and birds too), it can fly up in the air along with dusty and dried feces, then inhaled by other animals, including humans. This makes sweeping up bat and bird feces quite dangerous. If any of those droppings do contain the fungus disease spores, sweeping them or moving them around after they have dried can be a disease-spreading act. What are the symptoms of histoplasmosis in people? This disease can affect different people in different ways. A perfectly fit and healthy adult, for example, may not suffer from any symptoms whatsoever; the disease seemingly passing through with no concerns at all. Another person, on the other hand, such as, someone who has an immune-destroying condition, will become very ill from the disease and could even potentially die. AIDS patients are among the worst of sufferers, but the elderly and particularly young patients can also be badly affected. Symptoms in people usually appear around the two-week mark, although it is not uncommon for them to rear as soon as seven days after exposure, and some cases even taking as long as three weeks or more to show. The disease affects the respiratory system pretty badly, and the earliest symptoms can be confused with the flu, a cold, or even just a common cough. With some throat-scratching, a cough, and general cold/flu-like discomfort, it would be easy to explain the symptoms away with some more common and less dangerous. It would only be after a few weeks, when the symptoms didn't desist as they would have done with a common cold, that someone would seek medical intervention. What are the symptoms of histoplasmosis in bats? A bat can look fit and healthy when it is suffering from a number of diseases, with rabies being the only one that really impacts the animal. The virus causes the animal to be less fearful of humans and, therefore, more aggressive/attacking in nature. It can also cause them to be out during the day when they would otherwise be nocturnal creatures. 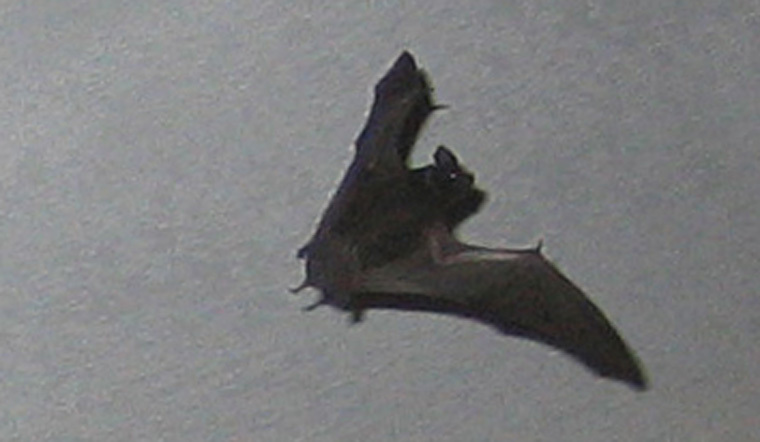 A sick bat can sometimes be “ejected” from the roost in order to save the lives of the remaining bats, so a bat that has been found out of the roost, particularly during the day, as well as seemingly injured and on the floor could be a bat that is sick and has been kicked out. You can't tell whether a bat is sick or healthy in many cases, especially just by looking at it. You shouldn't get close to a bat without the appropriate protection and safety measures in place. In fit and healthy adults where the disease doesn't present itself with physical symptoms, histoplasmosis can come and go without anyone knowing. Where the disease does come with symptoms, the treatment types and lengths will vary. Symptoms that are ignored will sometimes lead to the condition getting worse, and because it primarily affects the respiratory system, pneumonia and similar afflictions are a genuine concern. Medication that includes anti-fungal properties can help to get rid of histoplasmosis in its earlier stages, but when left longer, more serious complications and side effects of the condition will require more serious and aggressive forms of treatment. This can be up to a year long, and on rare occasions, longer than that. Go back to the Bat Removal page, or learn about bats in the attic with my Bats in the Attic guide.